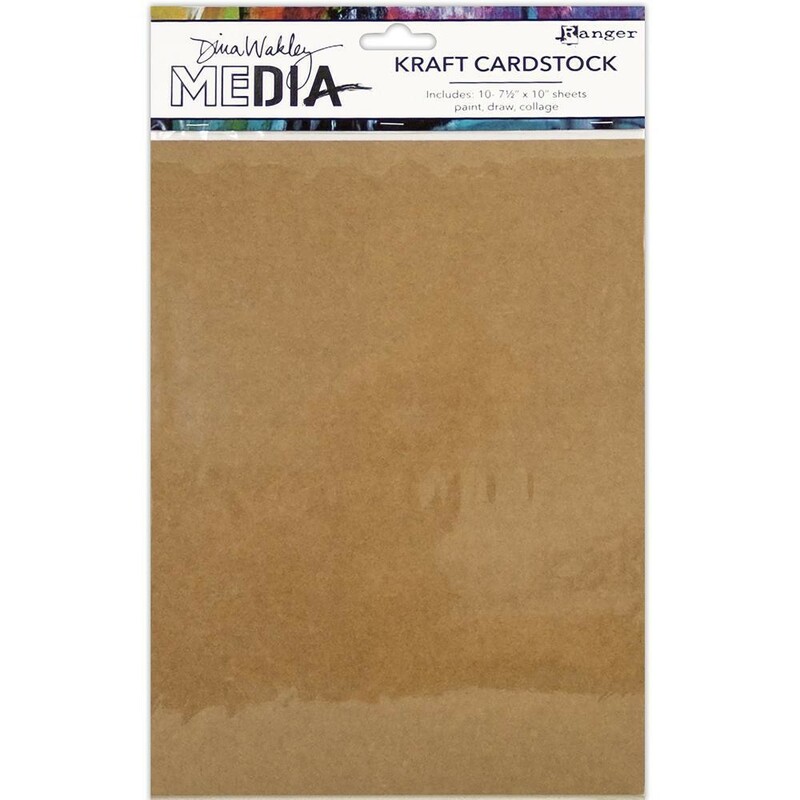 Dina Wakley Media Kraft Cardstock is a smooth, heavy weight mixed media surface, with a neutral color which allows paint and other pigments to pop. Ideal for mixed media painting, collage, watercolor and more. Use with Dina Wakley Media Acrylic Paints and Mediums, Scribble Sticks, Stamps, Stencils and more for endless creative possibilities. Package contains ten sheets 7.5x10 inches.